The World Cup, which starts today, will spark a huge range of human emotions, from the excitement of victory to the despair of defeat. The effect of football results on national mood is so strong that it can spill over into the stock market and cause swings of billions of pounds. Why? While the World Cup pits arch-rivals against each other, raring to settle scores of decades past, there are also long-standing feuds in the halls of academia. The equivalent of England-Germany is the debate over what drives financial markets. The “efficient markets” camp argues that the price of a share incorporates every single piece of relevant information: management quality, product mix, growth options, and so on. Prices end up at the theoretically “correct” fundamental value, as if calculated by an infinitely powerful computer. The “behavioural finance” team points out that traders aren’t computers, but humans. They’re prone to mistakes and psychological biases. Thus, share prices are affected not only by fundamentals, but also by emotions. Internet shares were wildly expensive in the late 1990s, not because these companies’ prospects were stellar, but because investors had become irrationally exuberant. Refereeing the “efficient” versus “behavioural” match is extremely difficult. One way to settle the tie would be to compare actual prices against the theoretical “correct” value based on fundamentals. But we don’t know what the “correct” value is. It could be that, based on information at the time, internet shares were fairly valued in the late 1990s, and the subsequent crash only occurred because bad news unexpectedly came out afterwards. But there is another tactic we can use – study whether prices are affected by emotions. Previous papers looked at whether weather affects the stock market. However, weather isn’t correlated across a country. If it’s sunny in London but cloudy in Manchester, it’s not clear what will happen to the overall stock market. Moreover, the effect of weather is unlikely to be strong enough to drive your trading behaviour, particularly since traders work in insulated offices. That’s why I chose to look at sports. Sports have huge effects on people’s emotions, these are far stronger than the effects of weather, and they can’t simply be neutralised by the office environment. When England lost to Argentina in the 1998 World Cup, heart attacks increased over the next few days. Suicides rise in Canada when the Montreal ice hockey team loses in the Stanley Cup, and murders go up when the local American Football team loses in the playoffs. International sports, like the World Cup, affect the whole nation in the same way, and lead to a large effect on national mood that is correlated across a country. Together with co-authors Diego Garcia and Oyvind Norli, I investigated the link between 1,100 international football matches and stock returns in 39 countries in our paper Sports Sentiment and Stock Returns. The results were striking. Being eliminated from the World Cup leads to the national market falling by 0.5 per cent on the next day – controlling for everything else that might drive stock returns. Applied to the UK stock market, this translates into £10bn wiped off the market in a single day, just because England loses another penalty shootout. The effect is stronger in the World Cup than the European Championship, which makes sense because the World Cup is the bigger stage and conjures up even more emotion. It’s stronger in the elimination stages than the group stages, because if you lose you’re instantly out. It’s also stronger in football-crazy countries like England, France, Germany, Spain, Italy, Argentina and Brazil. We also studied 1,500 other international sports matches and found a similar effect in one-day cricket, rugby, and basketball. We ruled out the explanation that the market declines are due to the economic effects of losses (e.g. reduced sales of replica merchandise, or reduced worker productivity). Depressingly, we found no effect of a win in any sport. One reason could be that sports fans are notoriously over-optimistic about their team’s prospects. If fans go into each game expecting they’ll win, there’s little effect if they do win, but they become depressed if they lose. Another is the asymmetry of the competition: winning an elimination game merely sends you into the next round, but losing leads to instant exit. How did this play out in the 2014 World Cup? Excluding the anomalous Brazil defeat (which I explain below), out of the 39 losses by a country with an active stock market, 26 (= two thirds) were followed by the national market underperforming the world market. A loss was followed by underperformance by 0.2% on average; a loss by the seven football-crazy countries was followed by underperformance by 0.4% on average. A series of three interviews I did with CNN’s Richard Quest is here. Germany 1-0 Argentina (Final). Argentina’s market rose 0.2%, while the world market rose 0.6%. Holland 0-0 Argentina (2-4 on penalties, Semi-Final). Holland’s market fell by 1.7%, while the world market fell 0.7%. France 0-1 Germany (Quarter-Final). The French market fell by 1.4%, while the world market fell 0.5%. Clash of two leading nations, both of which harbored hopes of winning the competition. Spain 1-5 Netherlands. The Spanish market fell by 1%, while the world market went up by 0.1%. This was a crushing and surprising defeat by the reigning world champions. England 0-1 Italy. The English market fell by 0.4%, while the world market was flat. Japan 1-2 Ivory Coast. The Japanese market fell by 1%, while the world market was flat. Japan went into the tournament with high expectations since the general consensus was that they had an easy group. Italy 0-1 Costa Rica. The Italian market fell by 1.5%, while the world market was flat. This was perhaps the biggest shock of the World Cup so far, and severely jeopardized Italy’s chances of qualifying. Italy 0-1 Uruguay. The Italian market fell by 0.5%, while the world market was flat. Italy were eliminated from the World Cup. Japan 1-4 Colombia. The Japanese market fell by 0.7%, while the world market was flat. Japan were eliminated from the World Cup. A win would have seen them through against an already-qualified Colombia team that rested several players. Korea 0-1 Belgium. The Korean market fell by 0.3%, while the world market was up 0.2%. Korea were eliminated from the World Cup by a Belgian side that rested several players and was down to ten men for half of the match. Nigeria 0-2 France. The Nigerian market rose 0.3%, while the world market rose 0.7%. Nigeria were eliminated from the World Cup. But, after Brazil’s 7-1 humiliation by Germany in the semi-finals, the stock market rose 1.8%, while the world market fell 0.4%. Surely this disproves the theory?! Actually, the Brazil situation has an interesting twist. Here, the market rose because the defeat was so bad that investors thought it significantly increased the chances that socialist President Dilma Rousseff would be ousted in October’s elections and be replaced by Aecio Neves, the leader of the more pro-business PSDB party. The economy had been mired in stagflation under Rousseff’s presidency. Her popularity was particularly tied to the football team because she chose to spend billions on stadiums for the World Cup instead of keeping her pre-election promises to spend on schools, hospitals, and general infrastructure. So, for this game also, sports results affected the stock market, but for very different reasons. Andy Haldane, the Chief Economist of the Bank of England, said that pensions are so complex that even someone “moderately financially literate” like he can’t understand them. This complexity certainly applies to pension tax rules when combined with changes to the Universities Superannuation Scheme (for employees of UK universities): despite being a finance professor, it’s taken me ages to understand the changes, but I think I’ve finally figured it out. I thought I would share it in simple language to help others also. CAVEAT: I’m not a financial advisor and what I write should not be construed as financial advice. You should speak to your university’s Pensions Manager or a financial advisor (Mercer helped at LBS); my goal is to give you an understanding of the basics which they can then bring to a conversation with your advisor. In addition, there will likely be future USS and tax changes; this document is only intended to be accurate for the time of writing. Retirement Income Builder, a Defined Benefit Scheme. This applies to contributions up to £55k of salary. Thus, if your salary is at least £55k, 1 year of service gives you £55,000/75 = £733/year (taxable) extra pension, plus a tax-free lump sum of 3 x £733 = £2,200. Tax Now. This is capitalised at 19x for tax purposes. The promise of £733/year, every year from retirement until death, plus the lump-sum of £2,200, is said to be “worth” £733 x 19 = £13,933 today. This £13,933 is counted as “income” and potentially taxable. Tax Later. Upon retirement, the above promise is said to be “worth” £733 x 23 = £16,859. (You increase the 19 to 23, since the £733/year starts immediately so it’s worth more). Your DB pension pot is thus £16,859. You can indeed take this as a tax-free lump sum of 3 x £733 plus a £733/year (taxable) pension. Or you can increase your tax-free lump sum up to 25% of your £16,859, and your annual pension is reduced accordingly (known as “commutation”). Investment Builder, a Defined Contribution Scheme. This applies to contributions above £55k. If you earn above £55k and stay in the scheme fully, 20% of your income above £55k (12% contributed by your employer, and 8% by you) is invested in funds of your choice, out of USS’s offering. Tax Now. If your income is £255k (I choose this to make round numbers, not because it’s realistic! ), your contribution to this section is 20% x (£255k – £55k) = £40,000. This is counted as income and potentially taxable. Tax Later. The value of the DC pot upon retirement depends on fund performance. On retirement, you can take 25% of the fund value as tax-free cash. The remainder is used to purchase a pension annuity (i.e. converted into an annual income for the rest of your life), on which you pay income tax. The tax-free pension Annual Allowance is £40,000, but if your “adjusted income” (income plus pension contributions by you and employer) exceeds £150,000, for every £2 increase in your adjusted income, your allowance falls by £1, down to a minimum of £10,000. Anyone earning over £210,000 will have the minimum allowance of £10,000. If your total pension income (from both sections) exceeds your annual allowance, you pay tax on the difference at your highest marginal tax rate. In the above example, total pension income is £13,933 + £40,000 = £53,933, vs. an allowance of £10,000. The taxable income is £43,933. You pay tax at 45%, i.e. £19,770. (I assume 45% tax given the income of £255k, but you should use your own tax rate). Opt out of the scheme fully, i.e. don’t contribute to your pension. Since your employer no longer has to pay 18% employer’s contributions, it instead pays you a Salary Supplement as extra income, which is taxed. At LBS this is 13% of your salary (13% x £255k = £33,150 in our example), but check with your employer. You still have your £10k Annual Allowance that you can use for a Self-Invested Pension Plan outside USS. Mercer advises that you should almost never choose the Enhanced Opt Out. This is because the DB scheme is attractively priced, so you should stay in the scheme at least up to the DB limit of £55k. Let’s assume a VSC of £155k. Then, pension contributions up to £55k go into the DB section; contributions on the remaining £100k go into the DC section. Pension income £13,933 in DB plus £20,000 (not £40,000 due to the VSC) = £33,933. Annual Allowance stays at £10,000 (it’s based on your actual salary, not VSC). You pay tax on the excess of £23,933. Less Lifetime Allowance tax upon retirement than under (1) but more than under (2). Under (1), and under (3) up to your VSC, you can increase your 8% contribution by 1%, which is matched by your employer. This counts towards your AA and goes into the DC funds. You should almost always do this, to benefit from the employer match. I reiterate that I am not a financial advisor and this should not be construed as financial advice. But, in my opinion, the decision can start from a simple calculation. For most employees, you won’t hit the Annual Allowance or Lifetime Allowance, so you stay in the scheme fully. The decision is only complex for higher earners. You should almost never consider 2, since the DB scheme is so attractive. If you consider 3, you should almost always choose a VSC of £55k and no higher. (If it’s useful to cap, it will be useful to cap all the way). Thus, the choice is: do I stay in the scheme fully, or impose a VSC of £55k? Stay in the scheme fully. For every £1 of your salary, 20% goes into the DC funds. You pay 45% tax on this right now. Upon retirement, you draw an income from your DC funds and have to pay 45% tax. However, you can take 25% out as tax-free cash, so you only suffer 45% tax on 75% of your pot. (This tax is paid later, but will be paid on a higher amount as your funds should grow, so “time value of money” considerations should roughly wash out). Thus, every £1 of salary gives you £1 x 20% x (1 – 45%) x (1 – 45% x 75%) = 7.29p. VSC at £55k. You save 5.5% by making pension contributions of 2.5% rather than 8% on your income above £55k. This increases your taxable income as these contributions would have come out of pre-tax income. You receive a 13% salary supplement from your employer, which is taxed. The total net gain is 18.5%. Thus, every £1 of salary gives you £1 x 18.5% x (1 – 45%) = 10.18p. Having the 18.5% as cash rather than 20% in a DC pot is attractive as you can do what you like with the money. Even if you choose to invest it, you have a wider range of choice than the USS funds. (Against that, the USS funds have no Annual Management Charge, except the emerging markets fund that charges 0.15%). USS has a huge deficit, and so it may default on its DB promises. If USS goes into the Pension Protection Fund (effectively a default), the actual value of pensions will be significantly lower than the promised value. Personally (this is not advice, this is only what I am choosing to do), I will stay in the scheme for many years. This is because, due to my age, I have several decades until retirement and will likely exceed the Lifetime Allowance, so I would like to build up DC funds to pay both Annual and Lifetime tax. Then, I will VSC at £55k (or whatever the DB threshold happens to be at the time), because 18.5% taxed once (and which I can use freely) is better than 20% taxed twice. Mercer had a proprietary model calculating what year I should initiate the VSC based on my age, income etc. Your advisor should have one too. If anything in this is inaccurate, please post a comment below. I would like this to be as accurate as possible and value all input. Thanks to many folks who’ve already corrected errors and omissions in prior drafts. The first stock market trading strategy ever discovered was the size anomaly. Banz (1981) found that small stocks outperform large stocks, even after taking into account their higher risk. This finding has had profound implications, such as the creation of small stock indices (since the returns of small stocks shouldn’t be compared to large stocks) and the classification of mutual funds into small or large. It also has implications beyond purely trading. If small companies are underpriced, then they can create value simply by merging with each other. Instead, trading strategies since have focused on other dimensions such as value and momentum. But, Toby Moskowitz of Chicago Booth and AQR Capital Management, a former winner of the Fischer Black Prize for outstanding contributions to finance research by someone under 40, presented his new paper at LBS on Thursday, resurrecting the size effect. It’s entitled “Size Matters, If You Control Your Junk”, and co-authored with Cliff Asness, Andrea Frazzini, Ronen Israel, and Lasse Pedersen of AQR. It shows that the size effect still holds if you do a simple twist – control for the quality of a firm (or its opposite, junk). Payout: dividends, buybacks (net of new equity issuance). (See the bottom of this post for a simple theoretical justification of these above measures). Of course, in an efficient market, all of these desirable characteristics will already be in the stock price. But, the crux of active investment strategies is that the market is not efficient. Asness, Frazzini, and Pedersen previously showed that quality stocks outperform junk stocks. And this explains the fragility of the size effect. Small stocks tend to be very junky (i.e. low-quality). Thus, any premium that you earn, as a result of small stocks outperforming large stocks on average, in eaten away by these stocks also being low-quality. So the solution is simple – control for quality. I.e. capture the size premium not just by buying small stocks in general, but buying small stocks that are also high quality. What could be going on here? Why do small stocks outperform large stocks, but only when you control for quality? The authors are still investigating potential explanations, but I punted on one during the seminar (note, this is only my interpretation, not the authors’). Small stocks typically outperform large stocks because they are not noticed by investors: the media and stock analysts typically cover large stocks. As a result, they’re underpriced. But, “junk” (low-quality) stocks attract attention because they are lottery-like. Highly risk stocks (e.g. a pharma start-up) have the potential for huge returns. This may explain why junk typically underperforms quality – investors bid up junk stocks due to their lottery-like characteristics. Thus, while small stocks in general don’t get much attention, junk stocks do – a start-up that’s potentially discovering a cancer cure will indeed be covered by the media. Thus, it’s only small, quality stocks which will exhibit the “inattention discount”, and so they earn the highest returns. which are indeed the four dimensions of quality studied by the authors. Executive compensation is a controversial topic. US CEOs earn 373 times the average worker, and so it takes them less than a day to earn the same as an average worker does in a whole year. But, despite attracting most attention and ire, the level of pay is actually not so important for firm value. Average pay in a top-500 firm is $13.5 million – huge in anyone’s eyes. But, the average size of a top-500 firm is $10 billion, so the salary is only 0.135%. That’s not to say that the level of pay doesn’t matter – a firm can’t be blasé about $13.5 million (else you could justify every wasteful expenditure saying that it’s small compared to firm value) – but other dimensions of pay may be more important. In particular, much more important than the level of pay is the sensitivity of pay – how it varies with performance. But, this dimension is also controversial, in particular the use of bonuses. Bonuses are often awarded for “on-target” performance (whereas many rank-and-file employees simply get their salary for “on-target” performance); the performance targets can be too easy; and the CEO can game the system, focusing on one target to the exclusion of others. For example, a bonus based on sales or earnings growth may cause the CEO to ignore corporate culture. In addition, while an even higher bonus is paid for good (rather than on-target) performance, the bonus is sometimes barely reduced for poor performance – it’s an asymmetric “heads I win, tails I don’t lose” scenario. 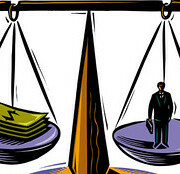 Equity compensation – giving the CEO shares – solves many of these issues. In the long-run, the stock price captures all the channels through which the CEO can improve firm value – if he pollutes the environment, invests in his workers, engages in a restructuring, all of these actions eventually affect firm value. (Of course, the key words are “in the long-run”, so the stock should come with a long vesting period). There is no ambiguity as to which measure to reward (sales growth or earnings growth?) or what target to set (2% or 5%? ), nor asymmetry – the value of the CEO’s shares rises with good performance and falls with bad performance. But, where’s the evidence? In an excellent paper in the 2014 Journal of Finance, Ulf von Lilienfeld-Toal and Stefan Ruenzi find that a strategy of buying shares in which the CEO has a high level of stock ownership, and shorting shares in which he has low ownership, earns 4-10%/year (depending on the definition of “high” and “low”). This result suggests not only that CEO incentives “matter”, but also that the market doesn’t recognize that they matter. Even though CEO ownership is public information, the market doesn’t take it into account (perhaps because, like the media, it’s focused on the level of pay) – and so investors can earn superior returns by trading on it. Like any paper, there are a few unanswered questions. The authors only include stock that the CEO voluntarily holds (i.e. has vested but the CEO has not sold). They don’t include unvested stock, nor options. Both unvested stock and options also provide the CEO with incentives to maximize value, so I would be interested to know whether the results hold when including these dimensions also (and any investor wishing to use this as a trading strategy might want to back-test the strategy including all incentives – vested stock, unvested stock, and options). Regardless, the paper makes a very important contribution highlighting the dimensions of CEO compensation that investors, the media, and the public should focus on – the sensitivity rather than level of pay, and suggesting that equity ownership may have a causal effect on firm performance rather than simply reflecting the CEO’s private information. 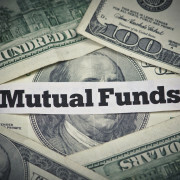 How does an investor choose which mutual fund to invest in? She’ll want a measure of the fund manager’s skill, and the most natural measure is his past performance. But, a ton of research has systematically found that past performance doesn’t predict future performance – it’s irrelevant in choosing a mutual fund. How can this be? One interpretation is that fund managers aren’t skilled to begin with, and instead any good performance is due to luck. The thinking goes as follows. Skill is permanent. If good past performance were due to skill, performance should stay strong in the future. But, luck’s temporary. If good past performance were due to luck, performance should revert to the average in the future. Since future performance appears unpredictable, this seems to support the luck explanation. This has huge implications for investors – if mutual fund managers indeed have no skill, there’s no point paying the high fees (around 1.5% per year) associated with actively-managed funds. Instead, put your money in passive index funds (where fees can be as low as 0.1%). Perhaps due to this thinking, passive index funds have grown substantially in recent years. But an influential 2004 paper by Jonathan Berk (Stanford) and Rick Green (Carnegie Mellon) reached a different conclusion. Fund managers are skilled, and good past performance is a signal of skill. But, because everyone else is trying to invest with a skilled manager, managers with good past performance enjoy a flood of new funds coming in. This increases the fund manager’s assets under management (AuM) and thus his fees (which are a percentage of AuM) and so he won’t discourage the new flows. But, it will worsen his performance next year, because of diminishing returns to scale in investing. The manager has to put the new funds to work. But, he’s already investing in his top stock picks. He can’t put all of the new money in the same stocks, because there’s not enough liquidity in the market to accommodate this extra demand. So, he’ll have to choose his next-best picks, which will do worse. Thus, even though past performance is an indicator of skill, it’s not an indicator of future performance. What’s the problem here? The analogy is choosing an individual stock. Choosing a stock on the basis of an attractive characteristic that’s known to everyone (e.g. buying Facebook because it’s a leader in social media) won’t be fruitful. Since everyone else is aware of that characteristic, they will have bought into the stock and driven the stock price up – the “Efficient Markets Hypothesis”. Similarly, identifying fund manager skill using a dimension that’s known to everyone (e.g. past performance) is also not fruitful. Since everyone else is aware of past performance, they will have bought into the fund and driven its AuM up, worsening its future performance. The key to picking a stock is thus to identify positive attributes that might aren’t known to others. Similarly, the key to choosing a mutual fund is to find a measure of skill that isn’t known to others – to have a measure of skill based on private (but legal) inside information. This is where an ingenious new paper by Jonathan, together with Jules van Binsbergen (Wharton) and Binying Liu (Kellogg), entitled “Matching Capital and Labor”, comes in. A mutual fund is part of a fund family. For example, the Fidelity South East Asia Fund and the Fidelity Low Priced Stock Fund are both part of Fidelity. One of Fidelity’s jobs as a fund family is to evaluate the performance of each fund manager, to decide whether to promote her (i.e. give her an additional fund to manage, or move her to a larger fund) or demote her (take away one of her funds). They have access to a ton of information over and above past performance figures – just like scouting out a baseball player gives you much more information than you’d get from the statistics. For example, they can engage in subjective evaluations of her performance based on on-the-job observation, or assess whether poor performance might actually be due to good long-run investments that just haven’t paid off yet. Thus, a promotion signals positive private information, and a demotion signals negative private information. As an example, take Morris Smith. He joined Fidelity in 1982 and, from 1984-6, ran Fidelity’s Select Leisure Fund, which soared from $500k to $350m under his management. In 1986 he was promoted to the Fidelity Over-the-Counter Fund and managed an average of $1b. After further good performance he was promoted to Fidelity’s flagship fund in 1990 with assets of $13b. In short, by observing promotion and demotion decisions (which we can, using data sources such as Morningstar and CRSP), we can infer the fund family’s private information. Promotion and demotion decisions can’t be predicted using data on past performance. In other words, observing such decisions gives investors, additional information over and above what we’d get from past performance figures. It allows us to (legally) infer the fund family’s private information. Promotion and demotion decisions both increase the fund manager’s value added. The authors measure value added using a metric introduced by an earlier paper by Jonathan and Jules. This equals the fund’s “gross alpha” (its actual return before fees and expenses, minus the return from passively holding the benchmark) multiplied by its assets under management (“AUM”). This gives a dollar measure of how much value is added (or subtracted) by active management. That both promotions and demotions increase future value added suggests that promotions give more capital to a skilled manager who can use it effectively, and demotions pull the plug from an unskilled manager who was using capital wastefully. Thus, the information that promotion/demotion decisions give is not only incremental (to past performance), but also useful. It’s inside information that drives the results. “External” promotions or demotions (a manager leaving to a new fund family and managing a fund with higher or lower AUM than he did before) have no effect on future value added. These effects are large. The fund family’s decision to promote or demote a manager adds value of $715,000 per manager per month. Thus, 30% of the value that a mutual fund manager adds comes from the fund family giving her the right amount of capital. Why doesn’t the decision to give a manager a second fund lead to the problem in Berk/Green, that the fund manager now has too much money under her control? Because, the fund family – through its extensive monitoring – estimates the optimal amount of funds to give each manager. It chooses to promote managers who previously had been underallocated funds, so that promotion does not lead to the problem of diminishing returns to scale. Decades of academic research have failed to find an answer to one of the most important practical questions for investors – how to predict mutual fund performance. Jonathan, Jules, and Binying may have just found a way. 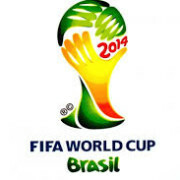 The 2014 World Cup is now over. After Argentina’s loss in the final, its market was up 0.2%, underperforming the world index which rose by 0.6%. Germany’s index rose 1.2% – the biggest gainer among the major European indices. Excluding the anomalous Brazil defeat (which is explained below), out of the 39 losses by a country with an active stock market, 26 (= two thirds) were followed by the national market underperforming the world market. A loss was followed by underperformance by 0.2% on average; a loss by the “big seven” soccer nations (England, France, Germany, Italy, Spain, Argentina, Brazil) was followed by underperformance by 0.4% on average. Thanks to everyone who followed this post as the World Cup unfolded. A series of three live TV interviews that I did on CNN on the effect of the 2014 World Cup on stock markets is here. So far this World Cup, most defeats have been met by national stock market declines. Indeed, Holland’s market fell by 1.7% on Thursday after being eliminated by Argentina on Wednesday, while the world market fell only 0.7%. But, after Brazil’s 7-1 humiliation by Germany on Tuesday, the stock market rose 1.8% on Thursday (the market was closed on Wednesday), while the world market fell 0.4% over Wednesday and Thursday. Surely this disproves the theory?! Actually, the Brazil situation has an interesting twist. Here, the market rose because the defeat was so bad that investors think it significantly increases the chances that socialist President Dilma Rousseff will be ousted in October’s elections and be replaced by Aecio Neves, the leader of the more pro-business PSDB party. The economy has been mired in stagflation under Rousseff’s presidency. Her popularity may be particularly tied to the soccer team because she chose to spend billions on stadiums for the World Cup instead of keeping her pre-election promises to spend on schools, hospitals, and general infrastructure. Is this just clutching at straws to make an excuse for a major contradictory data point? In fact, this hypothesis was predicted even before the start of the World Cup. UBS analysts argued that a Brazilian exit would boost the stock market by hindering Rousseff’s re-election bid, and Brazil’s Ibovespa stock index had risen 19% from a low on March 14 due to speculation that the economy’s poor performance would lead to her being ousted. Overall, out of the 38 losses by a country with an active stock market, 25 have been followed by the national stock market doing worse than the world market. Moreover, the stock market increase upon seemingly bad news is consistent with a more general phenomenon studied in one of my other papers, with Itay Goldstein (Wharton) and Wei Jiang (Columbia). Typically, we think that a high stock price suggests that the CEO is doing well. But in fact, a high stock price may suggest that the CEO is doing badly – so badly that investors think that the firm will be the target of a hostile takeover, and so bid up the price. Thus, there’s an interesting two-way relationship between prices and real decisions. A low price may trigger a corrective action (e.g. hostile takeover of a CEO, replacement of a President) – but the expectation of the corrective action drives the price up. Indeed, Commerzbank was a takeover target around the financial crisis due to its poor performance. It was believed to have adopted a rather unusual takeover defense – it spread rumors that it was a takeover target, to increase its stock price, preventing a takeover from ultimately occurring! 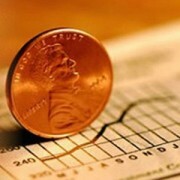 Thus, stock prices may be self-defeating – prices prevent the very actions that they anticipate. As Shakespeare’s Hamlet said, “thinking makes it so”. But in financial markets, “thinking may make it not so”. At the time of writing, Germany is the only major European stock market that’s up – all other European stock markets are down due to negative economic news. Luckily for Brazil, their stock market is closed for a public holiday to mark a constitutional revolt in 1932. In an earlier post I summarized my paper (with Diego Garcia and Oyvind Norli) which shows that international football defeats lead to declines in the national stock market index. Controlling for other drivers of stock returns, a World Cup defeat leads to a next-day fall of 0.4%, and a defeat in the elimination stages leads to a next-day fall of 0.5%. We also found that the effect was stronger in England, France, Germany, Spain, Italy, Argentina, and Brazil. A brief, humorous, 5-minute talk about the paper is here. How has this theory played out in the 2014 World Cup so far? Typically you find that stock market effects get weaker after a paper is published, because investors are aware of the effect and trade against it. However, we have indeed seen stock market declines after defeats in this World Cup. Across all countries with a stock market index, a defeat has led to the index falling by 0.2% faster than the MSCI World index. Moreover, defeats by the “big seven” countries (notably England, Spain, and Italy) have led to declines of 0.5%. Out of the 36 defeats by countries with an active stock market, 24 have been followed by market declines faster than the MSCI World. Spain 1-5 Netherlands. The Spanish market fell by 1% the next day, while the world market went up by 0.1%. This was a crushing and surprising defeat by the reigning world champions. Switzerland 2-5 France. The Swiss market fell by 0.7%, while the world market was flat. While this loss wasn’t too unexpected, the magnitude of the defeat was severe – Switzerland were down 0-5 until late in the game. France 0-1 Germany. The French market fell by 1.4%, while the world market fell 0.5%. Clash of two leading nations in the quarter-finals, both of which harbored hopes of winning the competition. Croatia 1-3 Brazil. The Croatian market rose 0.4%, while the world market rose by 0.3%. This result did not worsen Croatian national mood, as they were believed to have played well and lost to unlucky refereeing decisions. Bosnia 1-2 Argentina. The Bosnian market rose 0.5%, while the world market was flat. This was Bosnia’s first appearance in a World Cup and the consensus was they played very well. Australia 2-3 Netherlands. The Australian market rose 1.5%, while the world market rose 0.9%. Australia’s performance was widely praised by the press afterwards, in contrast to the significant negative coverage of the team before the tournament. Greece 1-1 Costa Rica (3-5 on penalties). The Greek market rose 0.4%, while the world market rose 0.1%. This was the first time Greece advanced through the group stages and so the nation was happy with the team’s performance in the overall World Cup. However, there were a couple of losses that did lead to a decline in national mood, yet still were accompanied by stock market increases. Clearly, football results aren’t the only factor that drives stock returns, because there may be some major economic news. For example, when Spain lost 2-0 to Chile, the market went up by 0.7% the next day (while the world market rose 0.5%), due to news of a new king. In addition, there have been losses that were accompanied by stock price declines and thus consistent with the theory, but likely these declines were caused by other factors. For example, when Nigeria lost 3-2 to Argentina, the market fell 0.6% the next day. However, Nigeria had already qualified so the loss wasn’t particularly painful; the market decline was likely due to the terror attack in the capital on the same day. While there might be particular occasions where economic news overshadows the mood impact of a football result, these idiosyncratic events will even out in a large sample. Thus, the initial paper studied 1,100 football matches (plus 1,500 matches in rugby, cricket, basketball, and ice hockey) to find the average effect of football defeats on the stock market. A football loss won’t lead to a stock market decline in every single case, but it does on average, and this has been borne out by the 2014 World Cup so far. If a company has bad news that it wishes to hide, where will it hold its shareholder meeting? As far away as possible! That’s the hypothesis of an ingenious paper entitled “Evasive Shareholder Meetings”, by Yuanzhi Li (Temple) and David Yermack (NYU Stern) that I saw at the Rotterdam Workshop on Executive Compensation and Corporate Governance yesterday. Companies are forced to hold shareholder meetings once a year. But, such meetings can be notoriously inconvenient for management. For example, at McDonald’s 2013 shareholder meeting, a 9-year old girl was famously planted to tell CEO Don Thompson “it would be nice if you stopped trying to trick kids into wanting to eat your food all the time”. Thompson’s spontaneous response, “we don’t sell junk food”, went viral and was ridiculedby the media. Thus, if the company expects trouble brewing, it can choose to hold its meeting at an inconvenient location, to deter shareholders or the press from attending. This in turn implies a trading strategy for astute investors – short companies with remote meetings. 70% of shareholder meetings are non-evasive, occurring within 5 miles of the headquarters. But at the other extreme, Li and Yermack found 34 meetings that took place overseas. General Cable is headquartered in Kentucky but has held its annual meetings in Spain, Costa Rica, and Germany; a mining company held a meeting at one of its mines. Even for domestic meetings, the company can choose to hold it hundreds of miles from a major airport. For example, TRW Automotive held its 2007 meeting in McAllen, Texas, at the Southern tip of the continental United States near the Mexican border – 1,400 miles from the company’s headquarters outside Detroit, and 300 miles from the nearest major airport (Houston). One company held its meeting in Lahore, Pakistan – so shareholders would have to brave terrorist threat to attend it. (However, this meeting was not included in the final analysis due to the unavailability of other data). Particularly suspicious are companies that hold the meeting at the same location every year, but make a one-time deviation. For example, 9 out 10 years, the regional bank KeyCorp held its annual meeting close to its Cleveland headquarters, but in one hear it held it at an art museum in Portland, Maine. The authors found that firms that hold these exceptional meetings – that involve one-time deviations – underperform their peers by 11.7% over the next six months. Similarly, companies that hold their meetings at remote locations (defined as 50 miles from their headquarters and 50 miles from a Tier 1 airport) underperform by 6.8%. Moreover, the future underperformance goes up with both distance measures. Most shareholder meetings take place in May. Thus, the subsequent 6-month period typically includes the firm’s Quarter 2 and Quarter 3 earnings announcements. Over the whole sample, the average return to an earnings announcement is +0.41%, because firms typically meet or beat their earnings target. However, firms that hold exceptional meetings (a one-time deviation from the standard location) suffer returns of -2.24% at future earnings announcements, suggesting that they miss their targets. The idea of evasive management is related to this earlier post on a paper showing that companies who avoid questions from pessimistic analysts (during earnings calls) subsequently underperform. Both papers are very clever ways to identify shifty managers with something to hide, and use this to form a profitable trading strategy. The previous post concerned momentum – a strategy of buying past winners and selling past losers. It discussed how this strategy does well on average, but on rare occasions (recent market downturns and high market volatility) does very poorly. Another reason why momentum may perform poorly is because other investors are chasing the same strategy. One of the “behavioral” explanations for momentum is underreaction, and goes as follows. Suppose a company experiences good news, which increases its true value by 10%. However, the stock price may only rise by 6%, because (a) only some investors notice the news, due to limited attention – they follow hundreds of stocks, and cannot notice what happens to every single stock on a particular day, and/or (b) investors do notice the news, but have stubborn prior beliefs – an investor may have a long-standing belief that the stock is of low-quality, and may cling to this belief even after receiving the news. Regardless of the explanation, momentum works. You should buy a company that has risen by 6% over the past six months, because its true value has increased by 10%, and so it may gain the final 4% over the next six months. However, what if all investors think like that? Then, they may pile into a stock that has risen by 6%. This extra buying pressure causes it to rise another 5% – so that the total increase is now 11% and so it has overshot. How does a would-be momentum investor ensure that he hasn’t bought a stock that has overshot? Christopher Polk and Dong Lou of the London School of Economics study this question in an interesting paper entitled “Comomentum“. The idea is as follows. If investors are trying to exploit momentum (causing stocks to overshoot), they would have piled into many past winners, and equivalent sold many past losers. Then, the stock returns of past winners will covary with each other (i.e. move up together), and similarly the stock returns of past losers will covary with each other. They introduce a new measure, comomentum, which is the abnormal correlations among past winners and past losers – the stocks the momentum trader will trade on. When comomentum is high, this suggests that lots of investors are piling into momentum trades, and so the trades are less profitable. Indeed, they find that their comomentum measure significantly predicts the future profitability of momentum. The effects are economically large. When comomentum is in the top 20% of its range, the momentum strategy earns 10.4% lower returns in its first year than when it is in the bottom 20% of its range. Simply put, when comomentum is high, other investors are pursuing the momentum strategy. This strategy is now crowded, so you should get out. Momentum is arguably the most well-known trading strategy. A simple strategy of buying stocks that have done well over the past 6 months (“winners”), and shorting stocks that have done badly (“losers”), earns a 1%/month return over the next 6 months. While other trading strategies stop being profitable once they have been discovered (because investors start exploiting them, removing the profit opportunity), momentum has remained surprisingly lucrative ever since Jegadeesh and Titman (1993) first documented it. A momentum strategy is attractive because it is market-neutral – since you’re buying some shares and shorting others, it can make money in up markets and down markets. Thus, it is relatively immune to market risk. The Sharpe Ratio (a measure of the risk-adjusted return to a trading strategy) of momentum is about 0.6, compared to 0.3-0.4 for just holding the market. I attempt to exploit momentum myself, through the AQR Momentum ETF (ticker AMOMX). Momentum is also pervasive – it works not only in stocks, but also bonds, commodities and exchange rates as shown by Asness, Moskowitz, and Pedersen (2013). That we see it in so many assets suggests that momentum is due to investors making mistakes – popularized by a branch of research known as “behavioral finance”. The main psychological explanation is that investors are slow to react to information – thus, good news takes time to be incorporated in prices, and ditto for bad news. However, even though the momentum strategy does well on average, there are some periods where it does very badly, such as in the recent hedge fund crisis – some hedge funds went under because they followed momentum strategies that tanked. For example, between March and May 2009, the “losers” generated 163% returns, but the “winners” generated only 8% returns. Thus, a momentum strategy is somewhat like selling options – it makes money on average, but sometimes does really badly. This new paper by Kent Daniel of Columbia GSB, a former Managing Director in Goldman Sachs Asset Management and Toby Moskowitz of Chicago Booth, a former winner of the Fischer Black Prize for outstanding contributions to finance research by someone under 40, shows you when to get out of momentum strategies – and thus how to make momentum even more profitable. The answer is surprisingly simple – get out of the momentum strategy in times of market stress, when 1) the market has recently declined, and 2) market volatility (measured by the VIX volatility index) is high. Here’s a simple intuition. If the market has recently declined, the “loser” portfolio must have declined much faster than the broader market. Thus, it has a high beta (= sensitivity to the market). The “winner” portfolio has a relatively low beta, which is why it didn’t decline so much. After times of market stress, the market typically recovers. Thus, the “loser” portfolio, which has high beta stocks that are sensitive to the market, does especially well in the market recovery, and so you want to get out of the momentum strategy. Kent and Toby find that this surprisingly simple enhancement to the momentum strategy doubles the Sharpe ratio from 0.6 to 1.2.